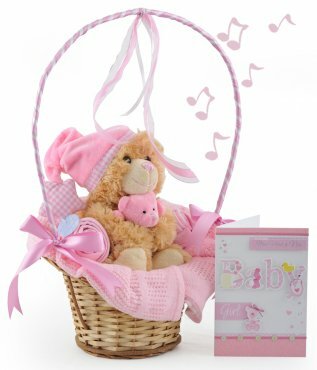 This is an enchanting and heart-warming gift basket with its sweet and smiling contents placed lavishly in a decorated wicker basket for a gratifying receipt by the proud parents. 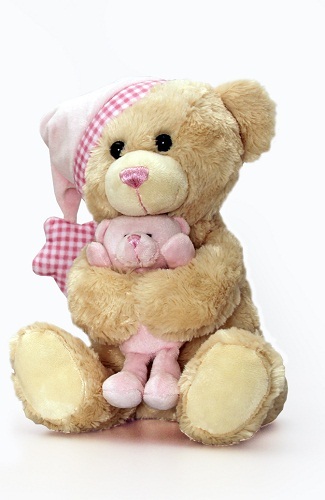 Centrally placed is a large 25cm musical teddy holding its own little teddy bear! 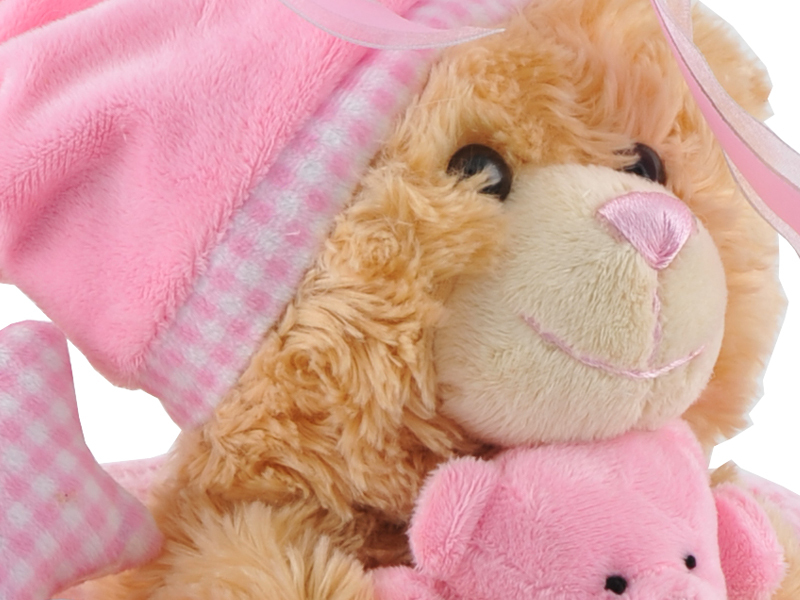 It’s cute night cap features a star shaped end and plays a lovely nursery tune when pulled! 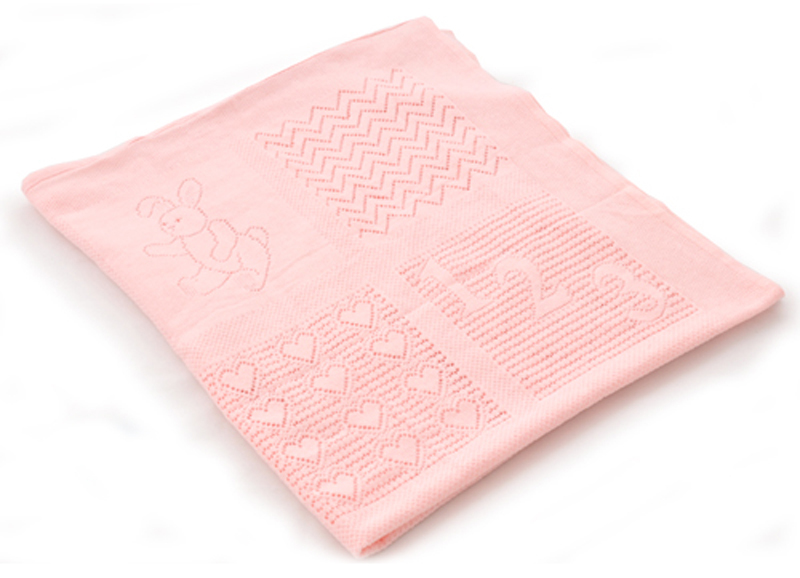 Teddy is comfortably sat within a lovely soft cuddle blanket and has 2 cotton bibs rolled and presented as rose buds placed on either side of it. These items are all skillfully placed on white shred within a wicker basket with a large handle beautifully decorated by hand with ribbons and satin bows. It’s wrapped upright with cellophane and satin bows to create a striking finish. The gift also includes a stunning handmade card in which we will hand write your personalized message.